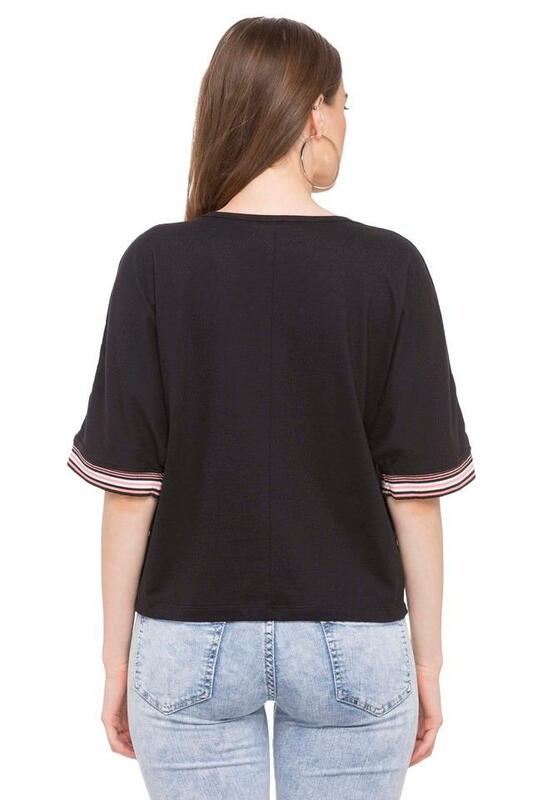 Lend your smart casual collection the addition of this top from Nush. It comes with a solid pattern that renders it stylish. 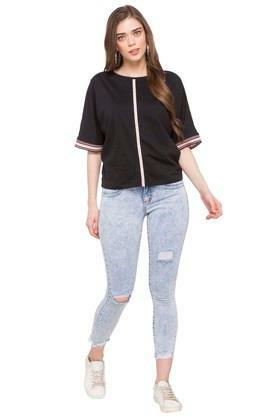 In addition, it features a round neck and three quarter sleeves that ensure a proper fit and renders it a stylish look. The use of a good quality fabric further makes it easy to maintain. Style a suave yet relaxed look in this top. Show off your fashion sense by clubbing this top with a pair of jeans.